Two students from Kenmare recently brought home two prizes from the BT Young Scientist competition for a light pollution app. 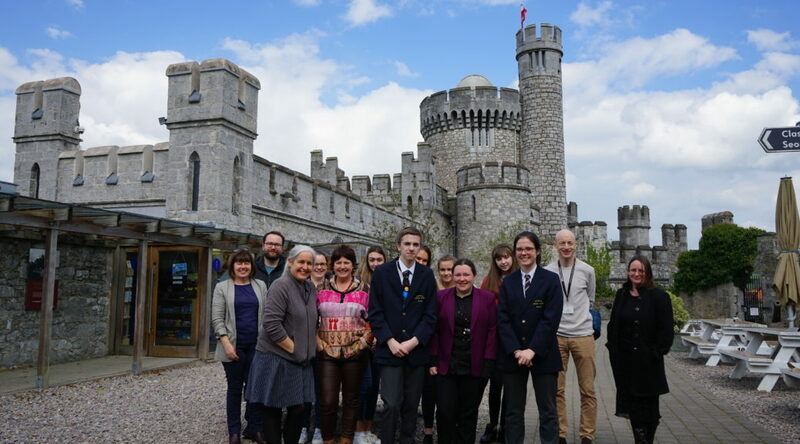 They were kind enough to present an overview of their project at a recent talk at CIT Blackrock Castle Observatory, along with their teacher Sarah Abbott . The project involved taking measurements in the centre of every major Munster town as well as developing a model of the light emission based on population estimates. The students, Hannah and Conor, who both have an interest in astronomy and the night sky developed a model which was later turned into an app to predict sky quality for amateur astronomers. Both students plan on attending third level, with Conor interested in Physics and Astrophysics, while Hannah’s interests lie in Earth Sciences. Hannah and Connor’s app can be downloaded from the resources section of this website. For a better understanding of how light pollution affects you, and how to measure it, be sure to check out this upcoming event with Georgia MacMillan of Friends of Ballycroy National Park: How Dark Is My Sky?